Every dog owner should carry a Home Alone Pet Safety Card. Things happen in life that we have no control over. 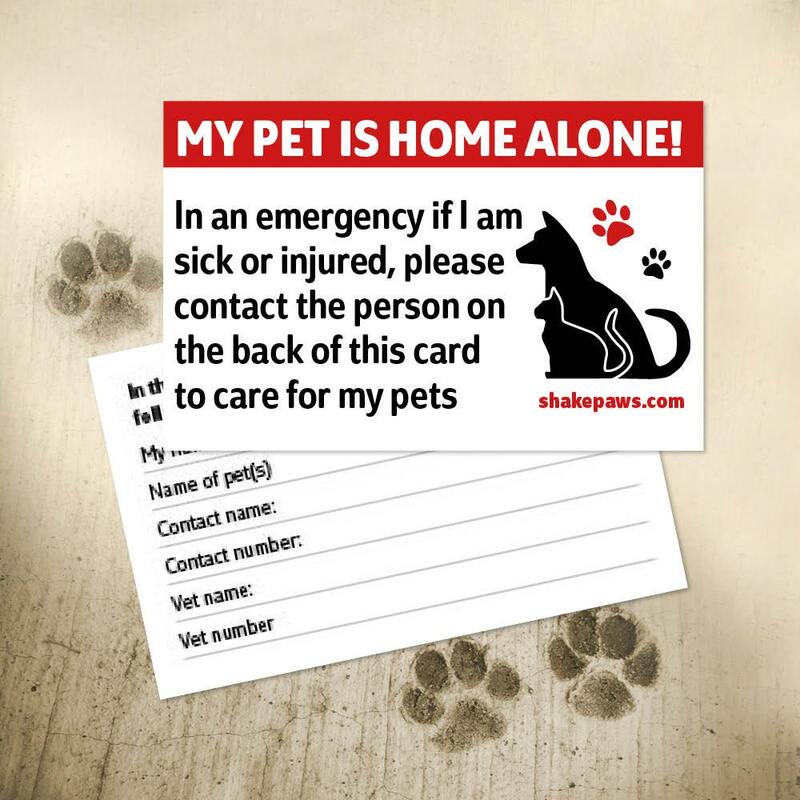 The Home Alone Pet Safety Card will give you the peace of mind that someone will be there to care for your pet(s) should the unexpected befall you. Simply pop it in your purse or wallet. Made from FSC-certified 350gsm card. Each pack contains two cards. Delivery: allow two business days for UK deliveries, 2–4 days for Europe and 5–7 days for the rest of the world.